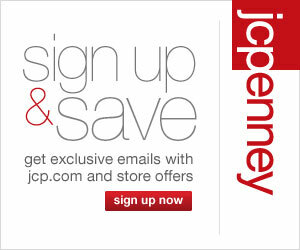 Click on this link below to sign up for emails from JCPenney. They will send you special offers and coupons. JCPenney offers fantastic deals during the holiday season . . . I bought tons of toys from them last year for next to nothing!